A special shout out goes to creative cupcake wonder that is known as Kelly. She loves to create some delicious baked goods and I’m planning on kidnapping her for an Oscar party next year. But that’s another story. 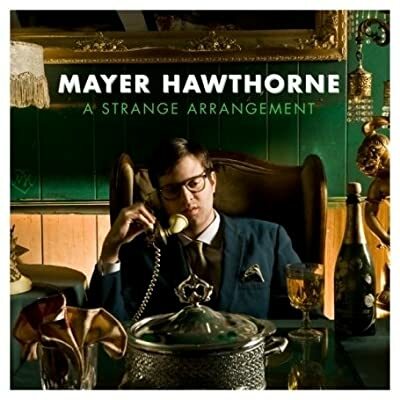 She gets a shout out for her taste in music and indirectly introducing me to an artist named Mayer Hawthorne. I viewed a music video she posted earlier this week on Facebook, and I rarely ever look at the videos people post unless curiosity strikes. Naturally, being an old school, Motown, classic soul and R&B fan, I assumed this would be a cover of The Temptations hit. Oh, how mistaken I was. Pleasantly mistaken, I might add. Not only is this an original song, but it’s done in a style that I think anyone that calls them self a fan of that 60’s Detroit sound would appreciate. It only got better as I looked into this guy’s catalogue (I only checked out a couple more song that lead me to the conclusion that I must own this guy’s album ASAP). Again, I’m loving the video. It does make me think of Kanye in image alone from his 808s and Heartbreak album. But unlike that album, I love Mayer’s voice. However the song as of today (within the past three days actually) that has received the most repeat plays on my iPod is “Your Easy Lovin’ Ain’t Pleasin’ Nothin’.” I blame the beat. Definitely a groove I’m feeling and love. I’m just so glad there are other artists out there that can get this music right and bringing it into our era. Kudos regularly goes to Raphael Saadiq, Joss Stone, Maxwell and Leela James for keeping that old soul still feeling fresh and new. It’s great I can add Mayer Hawthorne to this list. Anyway, enjoy the live version of the song getting the most heavy rotation as the week closes out. Click on the picture to buy the album from Amazon. It’s a good price, so support this artist today! I dare you to not sing and clap along!